This v-neck blouse is produced with an environment friendly fabric, Ramie. It has a delicate neck with a small tie band finish. 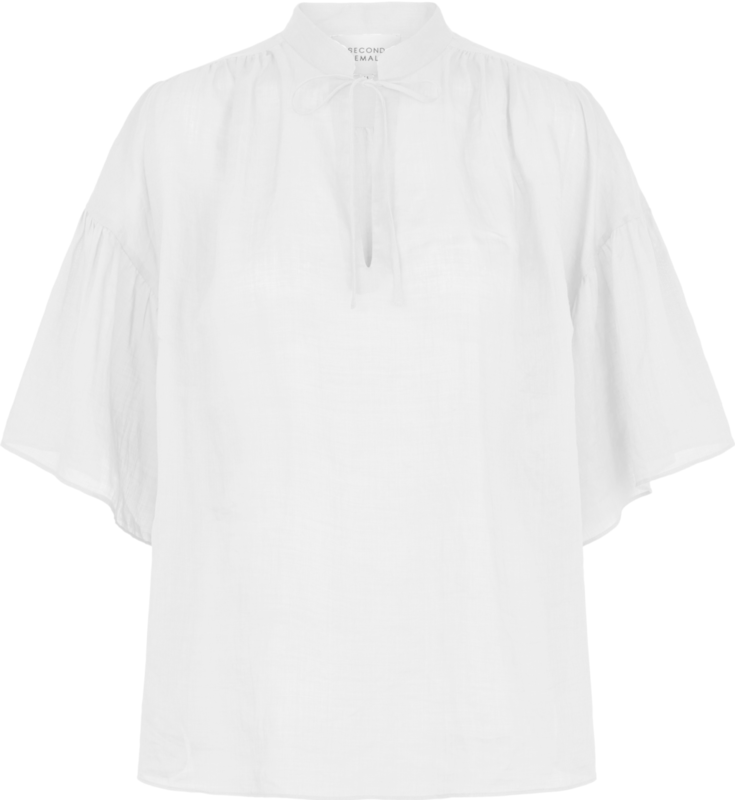 The blouse has drop-shoulders and large sleeves with small wrinkle details.